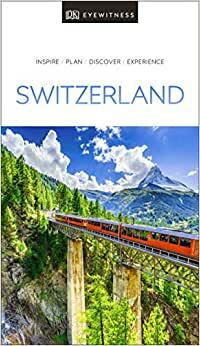 Discover Switzerland with this essential travel guide, designed to help you create your own unique trip and to transport you to this beautiful country before you've even packed your case - marvel at the iconic Matterhorn, explore the fascinating art galleries and museums of Basel or stroll around the historic town of Lausanne on Lake Geneva. The DK Eyewitness Guide to Switzerland covers the must-see sights and the hidden backstreets, so you won't miss a thing. Reasons to love Switzerland- natural wonders, rural traditions and world-class skiing - what will yours be? DK Eyewitness Travel Guide Switzerland is a detailed, easy-to-use guide designed to help you create your own unique trip. About DK Eyewitness Travel- For 25 years, DK's beautifully practical Eyewitness guides have been combining inspiring ideas and expert advice with easy-to-read maps and vivid photography to inform and enrich your holiday. Now they have a stunning new look that you will love even more. DK is the world's leading illustrated reference publisher, producing beautifully designed books for adults and children in over 120 countries. Start reading DK Eyewitness Travel Guide Switzerland on your Kindle in under a minute. I just received this guide which is in their new format. The guide is no longer clear. Information seems well hidden and oddly scattered. There is a long, rambling, unfocused introduction. An awful lot seems to have been omitted, including the Travelers' Needs section which has been taken out. Their old format was wonderful, concise, beautiful, I could always find what I needed. I think travelers would be better served going with the 2017 version. I hope they return to their original format. When things aren't broken, it really isn't necessary to fix them. 5.0 out of 5 starsOutstanding book. Although, I have visited Switzerland, this book is filled with visual information, not just words. Maps in detail, neighborhoods, foods, and anything you can imagine that you need for travel to this gorgeous country.. This also applies to the DK Eyewitness Travel Japan that I bought at the same time. These DK travel books also include great history in detail. No other travel book can match the equality of these. I love Eyewitness guides for solid, thorough information on what to see. Plenty of graphics--photos, drawings, and 3-D maps with walking tours--always help me plan my travel. I used the Switzerland guide to plan a short trip to Lucerne and Lausanne. It gave me excellent information to plan a walking tour of the historic districts of both cities. I never use Eyewitness guides as my sole source for planning a trip, but I couldn't plan a trip without them. Sometimes the restaurant suggestions are a little out-of-date, but that occurs with anything subject to printing lags. 1.0 out of 5 starsNice pictures little if any useful information !! This travel guide is really not a guide, it is a huge, gigantic listing of places with very little information about those places, maybe a sentence or two. Great pictures but little if any useful info. I expected a guide book that showed several different trips to take, all planned out, routes to take and places to see and stay at. If that is what you are looking for, this book does not provide that info.